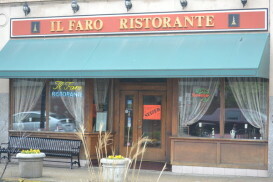 The bright orange seized sign on the front door of Il Faro restaurant has been taken down, but the Medford Square restaurant is still in hot water with the state’s Department of Revenue. The seizure on the business was lifted after revenue officials determined nearly all of the restaurant equipment belonged to the landlord at 21 Main St. and could not be auctioned off to pay some of the back taxes, said revenue spokesman Bob Bliss. The Italian eatery, owned by Giuseppe Longo, still owes $142,784.20 in taxes and penalty fees dating back to 2006, and has made no efforts to create a plan to start paying the debt off, Bliss said. “The taxpayer clearly is not taking any steps to work anything out with DOR,” Bliss said. Nearly all of the back taxes, which date back to 2006, stemmed from failing to pay the meals tax, Bliss previously said. Contact us via this form below to get our fast, focused and experienced team on your side.